There is no doubt that being a Veterinary Nurse can be very hard work at times but it is also one of the most rewarding careers out there! To help those out there who want to know how to train and qualify as a Veterinary Nurse, we have compiled a list of options. There are two different options available, either the vocational route or the higher education route. 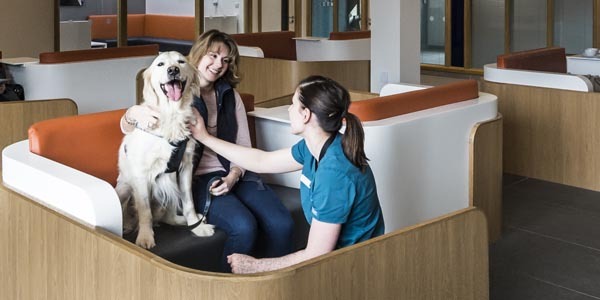 On qualification, both of these options allow registration with the royal college of veterinary surgeons (RCVS) so that you can practice as a registered veterinary nurse (RVN) and use the post nominals ‘RVN’. The Level 3 Diploma in Veterinary Nursing is a City and Guilds qualification which takes between 2 and 3 years to complete. It is either completed as a full time course at college alongside work placements for students to gain practical experience. Or as an apprenticeship course with students working in clinical practice and attending college on a day release basis every week. The Foundation Degree in Veterinary Nursing is a level 5 qualification which takes 3 years to complete. It is completed as a full time course at either college or university with students going out on work placements at intervals during the course. This course allows the use of the post nominals ‘FdSc’ upon qualification. 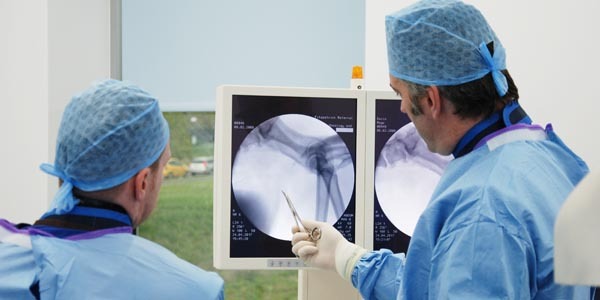 The Honours Degree in Veterinary Nursing is a level 6 qualification which takes between 3 and 4 years to complete. It is a full time course completed at university with students completing work placements throughout the course. This course allows the use of the post nominals ‘BSc (Hons)’ upon qualification. Here at Fitzpatrick Referrals we employ nurses who have qualified through each of these different routes and they all play a crucial role within our nursing team! 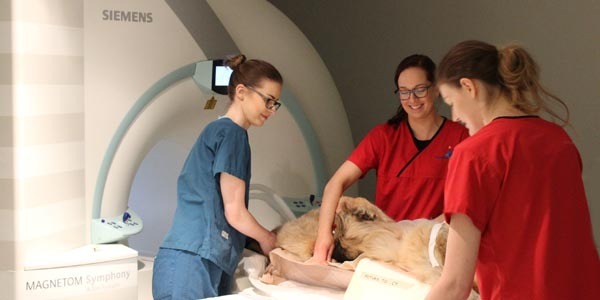 All our qualified nurses have completed approved veterinary nursing qualifications and are therefore registered with the RCVS to practice as RVNs. To find out more, we chatted to some of the team to find out what routes they took and why! 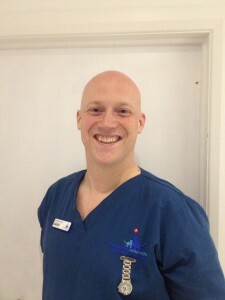 David Gibbins RVN has been at Fitzpatrick Referrals for 6 years and qualified in 2013. He tells us a little bit about why he became a Veterinary Nurse and the route he chose! I became a veterinary nurse because I wanted to do more than just care about animal welfare. I wanted to make a difference to the lives of our animal companions and their families, and everyday a veterinary nurse does just that. 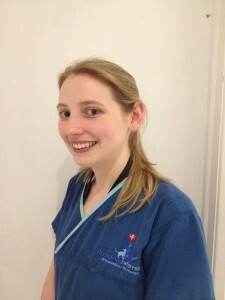 Emma Simmons, FdSc RVN has been at Fitzpatrick Referrals for 5 years and qualified in 2008. 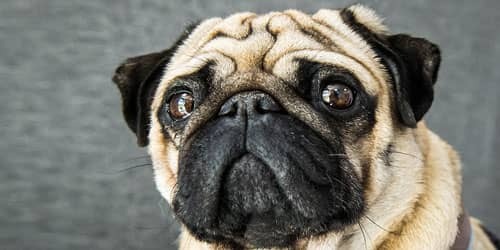 I found it difficult to find a practice who would take me as a student nurse to study via the diploma route, so I explored alternatives and found The Foundation Degree provided me with a perfect alternative to study as a Veterinary Nurse in the same time frame as the diploma route option! I am so glad it worked out, I love what I do! 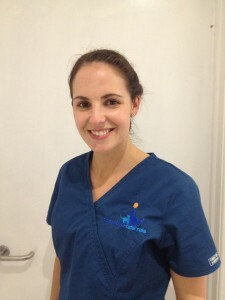 Claire Tyler BSc (Hons) RVN has been at Fitzpatrick Referrals for three months and qualified in 2010. Claire tells us about the Degree route! I chose to study a 4 year Degree in Veterinary Nursing because it gave me greater theoretical knowledge and experience working in a variety of practices during my work placements. Studying at a university gave me direct exposure into working within referral practice, showing me just how far I could take my veterinary nursing qualification! Find out more about these routes on the RCVS Website!